The global Isocyanates markets are covered weekly by ICIS in Asia, the Middle East, Europe and the US. All the reports have price assessments on methyl di-p-phenylene isocyanate (MDI) and toluene di-isocyanate (TDI) for spot business and, where applicable, contract or domestic activity. 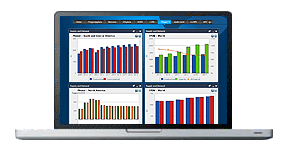 The up-to-date market news and analysis is collated by our locally based reporters and includes regional activity, upstream and downstream movements, production schedules, graphs and, in some instances, historical data. This provides you with a valuable tool to base your commercial judgements on. Supply of MDI is expected to remain long in nature, with no plant turnarounds scheduled for the quarter, and existing inventories rising due to slow downstream offtake in Q3 2018. Demand outlook is mixed for the fourth quarter. On one hand, as construction activities typically slows down with colder winter weather in the fourth quarter, PMDI requirements from this sector are expected to slow down. But PMDI also has heavy application in the manufacturing of white goods such as refrigerators which usually sees good demand in the year-end festive consumption boon. There will be more supply in the Europe crude and pure MDI markets after BorsodChem’s Kazincbarcika plant restarts. The Hungarian seller had a planned shutdown at the facility for maintenance that began in July and was scheduled to end in September. However, the site’s capacity was also set to expand in this time to 300,000 tonnes/year. Europe crude MDI participants are uncertain as to when demand will revert to levels seen in previous years. A softer trend for contracts throughout 2018 should lead to order book volumes rising eventually. They initially dropped in response to upward price movements in 2017. PMDI supply in Q4 is expected to be stable with most major producers expected to run their production plants at high or full capacity. There are some scheduled maintenance shutdowns expected in Asia in the period but this is not expected to limit supply. Demand is expected to improve but price trends in Asia are expected to set the tone for the Middle East market, which is relatively smaller. Inventory levels are believed to still be fairly healthy and few were in urgent need for large volumes. US polymeric MDI is expected to remain long in the fourth quarter as depressed prices in Asia will continue to push more product into North America. US tariffs on Chinese MDI may limit supply growth. China is a major exporter of MDI to the US. Monomeric MDI is expected to remain short. US MDI demand may slow in the fourth quarter as the traditional slow season in the construction sector will lead to some drop-off in consumption. Other downstream uses are expected to see steady consumption from the prior quarter. Asian supply of TDI is expected to tighten in the fourth quarter on the back of a heavy wave of plant turnarounds in northeast Asia during the October-November window, affecting more than 300,000 tonnes/year of production capacity. Demand is typically robust in the fourth quarter, assuming requirements from downstream mattress and furniture sectors keep up as anticipated. Consumption of such downstream products usually increases during year-end consumer buying sprees, but whether this will materialise this year remains to be seen, judging from lukewarm economic conditions at the macro-level. It is possible that the global TDI market may extend into structural oversupply following the restart of German seller BASF’s 300,000 tonne/year Ludwigshafen plant in July. Although, French seller Vencorex stopped producing TDI for this reason in 2016 with the market remaining tight in 2017 regardless. End users chose competing downstream products following higher Europe TDI pricing in the past year. It is unclear when TDI demand will jump back up as consumer habits influence future trends. A softening of contract price levels in 2018 could result in such a return in order book volumes eventually. Supply of TDI in the GCC and the broader Middle East region is expected to be stable and prices are expected to continue on a downtrend. Some Asian producers are due to carry out scheduled maintenance shutdowns in the quarter but no shortages are anticipated after the restart of BASF’s Ludwigshafen plant in Germany and with Sadara Chemical also expected to continue toward its target output levels. Demand could improve in Q4, which is typically a strong demand season for isocyanates. Price trends in Asia are expected to set the tone for the Middle East market, which is relatively smaller. 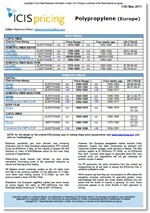 Inventory levels are believed to still be fairly healthy and few were in urgent need for large volumes. TDI supply both in the US and globally is expected to remain long into the fourth quarter. Demand destruction during last year’s significant run-up in prices has freed up some incremental tonnes while improved operating rates at new plants is also likely to keep global markets well supplied. No major change is anticipated in TDI demand during the fourth quarter. Demand for polyurethane systems is anticipated to remain strong in North America, although demand from the furniture and bedding sectors may remain slower than expected in the next quarter. We offer the following regional Isocyanates analysis and news coverage to keep you informed of factors and developments affecting prices in the Isocyanates marketplace. 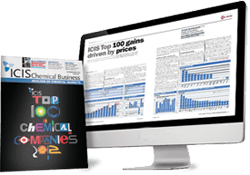 Over 25 years of reporting on key chemicals markets, including Isocyanates, has brought global recognition of our methodology as being unbiased, authoritative and rigorous in preserving our editorial integrity. Our global network of reporters in Houston, London, Singapore, Shanghai, Guangzhou, Mumbai, Perth and Moscow ensures unrivalled coverage of established and emerging markets. The main use for methyl di-p-phenylene isocyanate (MDI) is in the production of rigid and semi-rigid polyurethane foams, which accounts for some 80% of global consumption. MDI: Pure methyl diphenyl diisocyanate (MDI) occurs as white to pale yellow crystals or flakes with a slightly musty odour. It is soluble in acetone, benzene, kerosene and nitrobenzene. It reacts readily with water to form insoluble polyureas and may polymerise under the influence of temperatures above 204oC. MDI is made available both in pure form and as a mixture of MDI, the dimer and trimer. Mixed MDIs is referred to as polymeric isocyanates or PMDI. MDI is used mainly in polyurethane (PU) foams. Rigid foams are mostly used in construction, refrigeration, packaging and insulation. Flexible foams are used in furniture, bedding and transportation. MDI is also used to make binders, elastomers, adhesives, sealants and coatings. TDI: The main outlet for toluene diisocyanate (TDI) is in the manufacture of polyurethane (PU) flexible foams used in upholstery, mattresses and automotive seats. This is achieved by reacting the TDI with a polyol to produce the foam. Smaller uses for TDI include polyurethane elastomers and coatings. TDI occurs as colourless to pale yellow liquid or crystals with a pungent odour. All isocyanates are hazardous and must be handled with care. Skin contact must be avoided, as redness, blistering and possible sensitisation can result.